Moving home can give an adult a lot of anxiety, no matter the reasons for leaving. You could have found a bigger, better place close to a job with great opportunities: leaving your old home behind will still be stressful. Now imagine you are a child with no say in the matter, relocating to a new place without a reason. That makes for a very sad trip. 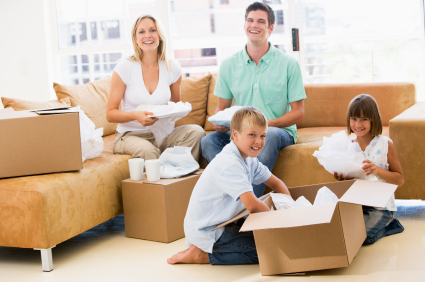 The key to keeping your family happy during the move to your new home is communication. There are dedicated removalists in your city to help you with the physical stresses of moving, but it is up to you to keep your family's spirits high and anxieties forgotten. You cannot keep your family calm if you are in a panic. In the days, weeks, even months leading up to your move there will be so many things going on that it will be hard not to get overwhelmed. The best thing for your family is for you and your spouse to stay confident. A positive attitude makes all the difference. You may be feeling anxious about living somewhere else, too, not just about moving day. Humans dislike change. One thing you can do to feel better about the new house it to make it your home before you are there. To do this, spend time in your new neighbourhood. Find your favourite restaurants and stores, or make new ones. This is especially important for your kids. If possible, take them to see their new home. If it is not possible, make sure you have pictures taken when you see it. That way they can familiarize themselves with it. Another thing you can all do is talk about paint. Choosing the paint color for your room is a great way to get involved and excited about the new home. Your children will have a lot of strong, negative feelings about the move. It is normal for them to worry about leaving their old friends behind. Most parents tell their kids that they will make new friends- you should not do this. The thought of making new friends is scary for them. Plus, it belittles the feelings they have for the friends they already love. Instead, encourage them to give their friends a phone number or email address where they can continue to keep in touch. This will tell them that they do not have to sever ties. It is easier to move home if they are not losing everything. 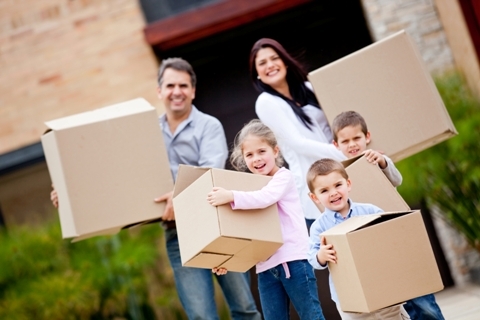 Your child should also be involved in the moving process as much as possible. Ask their opinion, and use it. Give them tasks to complete that will build their bond with the new home. Let them pack a special box, full of their most important things. This box will stay with them during the move. One of the main reasons people hire a removalist company is to reduce the stress and physical toll of the relocation as possible. There are dedicated removalists in your city. They know what they are doing. That means that on moving day you can take a step back and let them handle things. Stressed clients tend to get in the way instead of letting the movers do their job. You also need to make sure your children stay out of the way. If your movers are happy, you will be happy. Make sure your belongings are packed and ready to go on the day of the move and your removalist company will take care of the rest. Author Bio: Bill Chen received the Bachelor Degree of Commerce majoring in Business Administration from University of Sydney. Currently, he is a business man and running his international - interstate removal company named Bill Removalists Sydney. He is also an active blogger for his own website and other sites in the industry.